Wednesday Investments Pty. Ltd., Filmco Ltd. 1983. Director: Quentin Masters. Music: Cameron Allan. 45	(ST)	White Label. K9028. 1983. Produced by Cameron Allan. Wednesday Investments Pty. Ltd. Five Continents Music Pty. 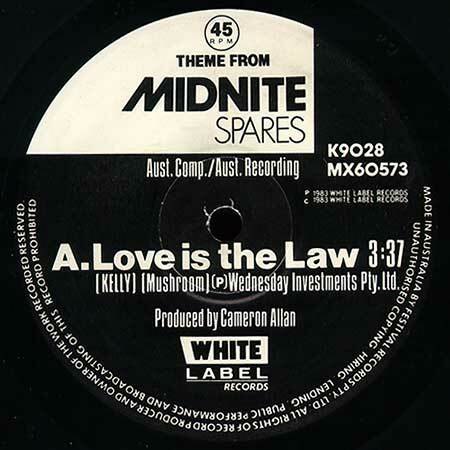 Ltd.
Side a: “Love Is The Law”. (3:37). (Kelly). (Mushroom). Side b: “Bikini Atoll”. (3:36). (Allan - Bidstrup). (Best/Festival).